All used packing boxes have only been used once, and are still in great condition. Please note, some used boxes will have writing / printing on the outside. Photos below are examples only. Don't forget, all of our boxes require 48mm Packing Tape to be assembled properly. Available on our Accessories page. Orders for used package deals are made up of the following types of packing boxes (the boxes you receive may be a slightly larger volume / shape than this - depending on current stock). LARGE: 570mm x 400mm x 400mm with a volume of 91 Litres. 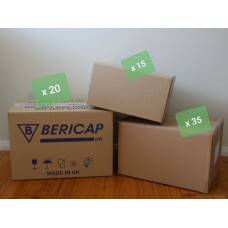 These "Bericap" boxes are quite strong and are suitable for any packing purpose such as manchester, clothes, toys, appliances, etc. SMALL: 450mm x 310mm x 210mm with a volume of 29 Litres. 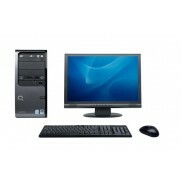 This smaller sized box is perfect for small, valuable items such as CD's, DVD's, cutlery, stationary, and personal items.